As summer approaches we take a look at our top picks for the sunny season. These Casio watches are recent releases that we feel are particularly useful for outdoor summer activities. The G-Shock GPR-B1000 Rangeman is one of the biggest G-Shock releases of the year and represents a significant advancement in outdoor features for G-Shock. 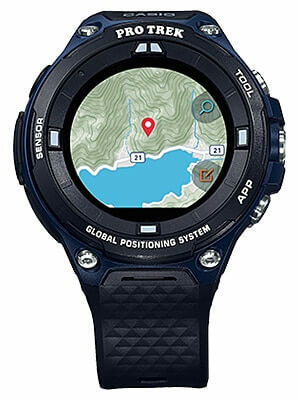 The GPR-B1000 has the G-Shock features we expect like 200-meter water resistance, solar charging, and the Triple Sensor, and for the first time adds a GPS navigation function that displays the current location on a route or bearing to a destination in real-time, as well as saves track and point data including longitude/latitude, altitude, and temperature. Like the previous Rangeman the GPR-B1000 has sunrise/sunset data and now has a tide and moon graph. Other additions include a carbon fiber insert band, sapphire crystal, and wireless micro-USB charger. The Pro Trek WSD-F20A Smart Outdoor Watch has all the same features as the second-generation WSD-F20 but with a list price of about $100 less (with the difference in specs being a resin buckle and non-textured side buttons). The smartwatch has a huge app library courtesy of Wear OS by Google and is suitable for swimming with its 50-meter water resistance. The built-in GPS and offline maps are useful for activities like trekking, biking, and kayaking. Other built-in sensors useful in the outdoors include an altimeter, barometer, and compass. Those who prefer their G-Shock designs simple will appreciate the basic black G-Shock GWG-1000-1A1 Mudmaster. The newest addition to the popular GWG-1000 Mudmaster line, this extra-rugged watch is resistant to mud, dust, and heavy vibration. It is also equipped with Tough Solar power, Multi-Band 6 radio time syncing, and the Triple Sensor with an altimeter/barometer, compass, and thermometer. There’s no denying that the GWG-1000 Mudmaster is one of the best-looking G-Shock watches but not everyone wants to spend that much money or needs the environmental sensors. Enter the G-Shock GWG-100-1A8 Mudmaster. This watch has the same tough look in a slightly smaller case with mud and dust resistance like its bigger brother. It also has Tough Solar and Multi-Band 6, but does not have the Triple Sensor. The GWG-100 adds a unique feature to the Mudmaster line with the Neon Illuminator that lights up the index and hands brightly in the dark with a UV-A (blacklight) LED. The GWG-100-1A8 is a good choice for adventurers and extreme athletes who want a very tough, maintenance-free solar analog-digital watch and don’t need the survival features of the GWG-1000. 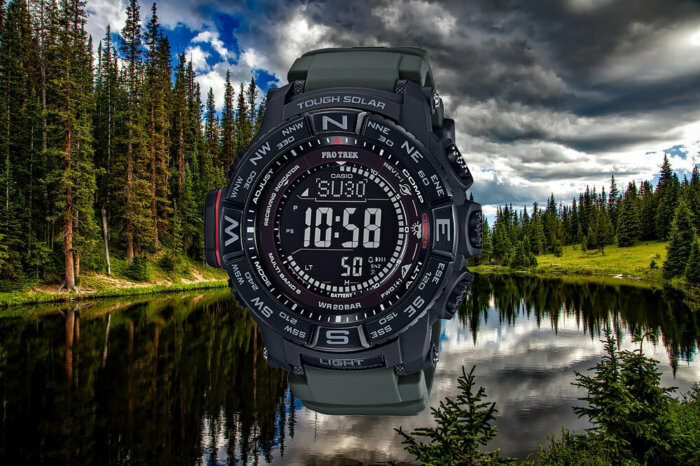 With its rotating bezel, Tough Solar/Multi-Band 6, Triple Sensor, and 200-meter water resistance, the Pro Trek PRW-3510Y-8 is an excellent outdoor watch with a lot of versatility. This “3510” model features upgrades over the standard PRW-3500 like a STN LCD display for improved visibility and a silicone band for enhanced comfort. Fortunately this model was released in North America recently, so you don’t have to pay a premium on an import to get these special features. 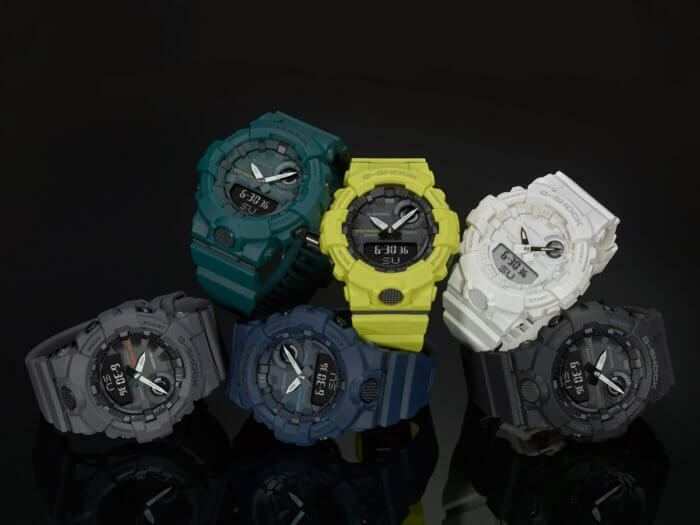 The G-Shock GBA-800 Series is part of the all-new G-SQUAD line of fitness watches. These watches include training features like a step tracker and Bluetooth connectivity to share and analyze your data on a smartphone. A special timer function allows up to five individual timers (up to 60 minutes) to repeat up to 20 times for interval training. The GBA-800 is available in six colors to match fitness attire. 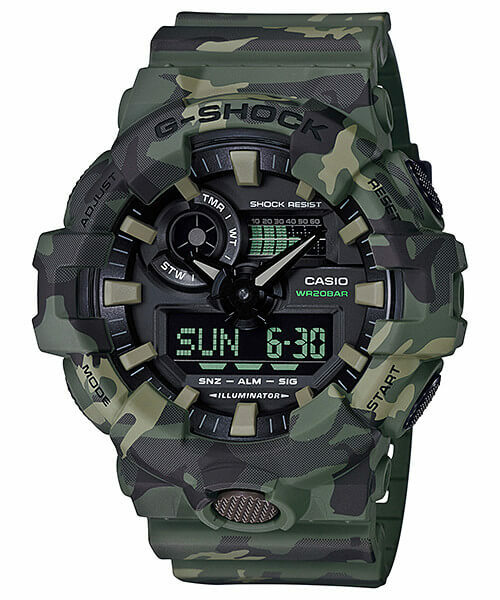 The first camouflage G-Shock series in a while, the GA-700CM Series includes the GA-700CM-3A with a traditional woodland camouflage pattern that will appeal to hunters and outdoorsmen. The GA-700CM-3A features an easy-access front LED light button and a 5-year battery that will last for many summers. 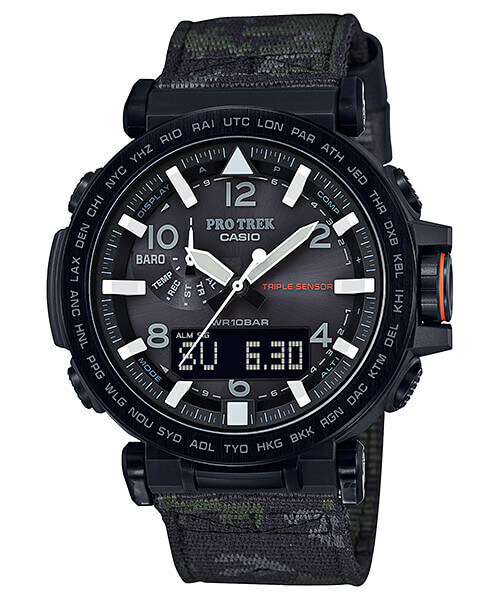 The Pro Trek PRG-650YBE-3 from the PRG-650 series is a smaller profile Triple Sensor watch that can be worn in a variety settings and not just the outdoors. It comes with both a camouflage fabric band for the outdoors and a more formal black silicone band that can be easily interchanged. This budget-friendly analog-digital watch also has a deluxe STN LCD display and the Neon Illuminator blacklight LED for easy visibility in the dark. 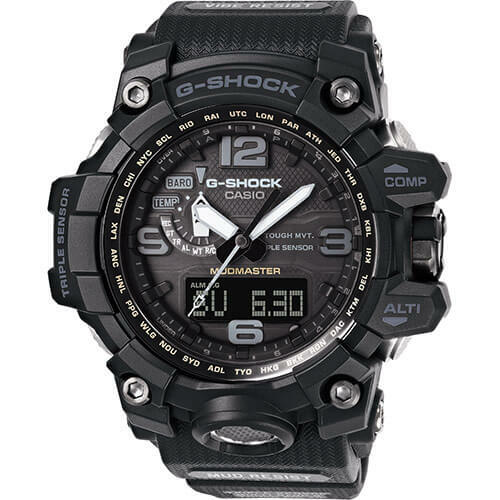 For more recommendations see all of our G-Shock and Casio buying guides. As a g-central.com reader I want to make a big compliment to you! Very interesting articles about Casio watches! I own a G-Shock Rangeman 9400 and I like my watch very much! 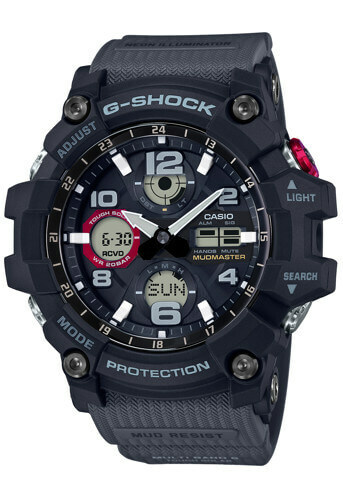 But this new Rangeman…the GPR-B1000…what can I say….In my opinion the best watch ever made!!! A watch with all the features you’ll need!!! As said before I hope they will make a version with a positive display. Then I will buy it for sure!!! 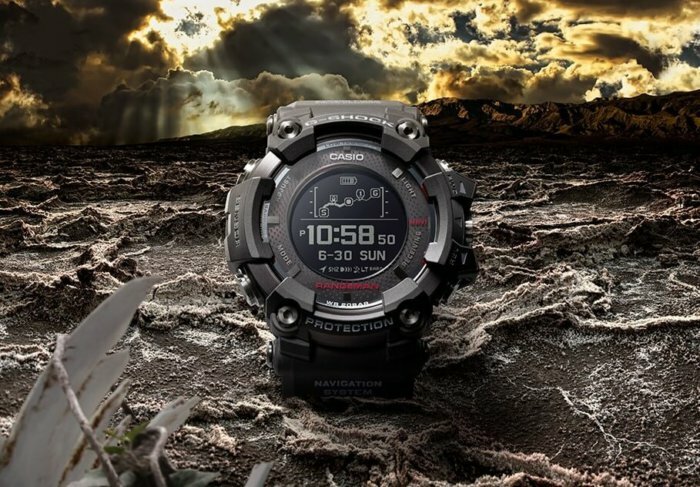 G-central…….do you know if Casio will make a Rangeman GPR-B1000 with a positive display? I would love to know why Casio is obsessed with negative displays which quote frankly render may of the features of theses watches utterly useless. Give us something we can see at all time for goodness sake and not something that is a fad.